The spectacled caiman is named for the bony ridge found between the eyes (some people think it resembles a pair of glasses!). Adults have dull-green coloration while juveniles have a yellow tint, which disappears with age. The species can reach more than 6 feet in length, with males being larger than females. This predator is found in Central and South America, ranging from Costa Rica to Brazil. 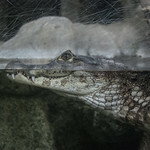 The spectacled caiman inhabits rivers and floodplains. 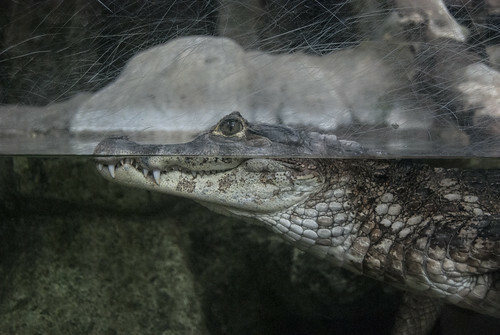 Spectacled caimans feed on fish, insects, frogs, birds and even mammals. After breeding, females lay their eggs in large nests constructed of mud, leaves and other organic materials. Females remain close to the nest as eggs incubate to deter predators. Young spectacled caimans hatch after 90 days.